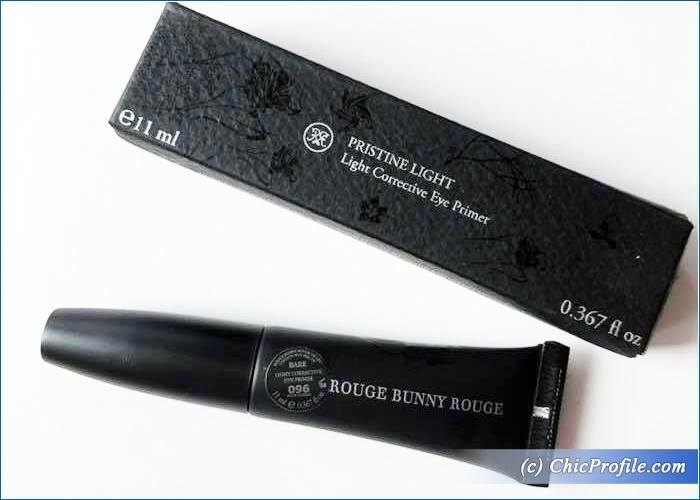 Today I want to talk to you about the new Rouge Bunny Rouge Light Corrective Eye Primer. This is a new product that will launch later this month. I’ve been playing with it for about a month now, using it as a base for my eyeshadows all the time. It’s a universal eye primer that comes only in one shade and applies beautifully over the skin. 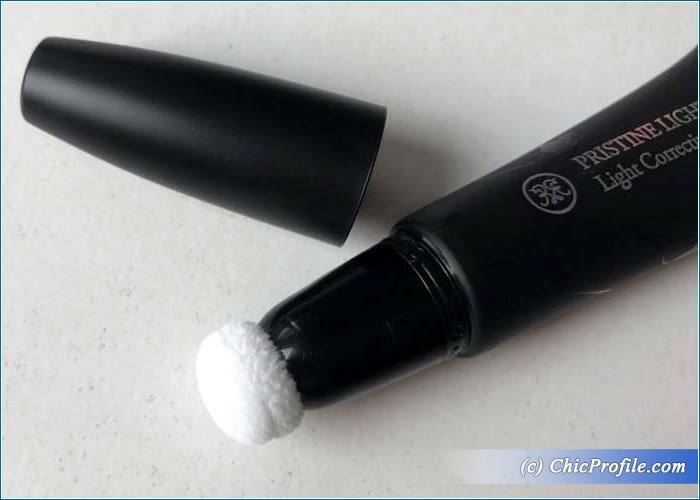 How about the cool applicator that is so easy to use? 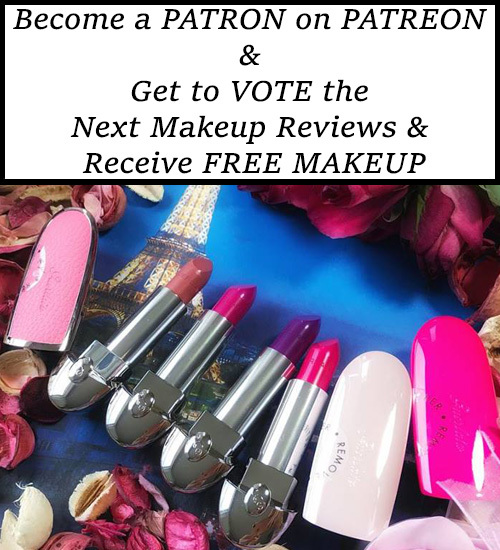 It does look just like Charlotte’s Tilbury Wand applicators, don’t you think? 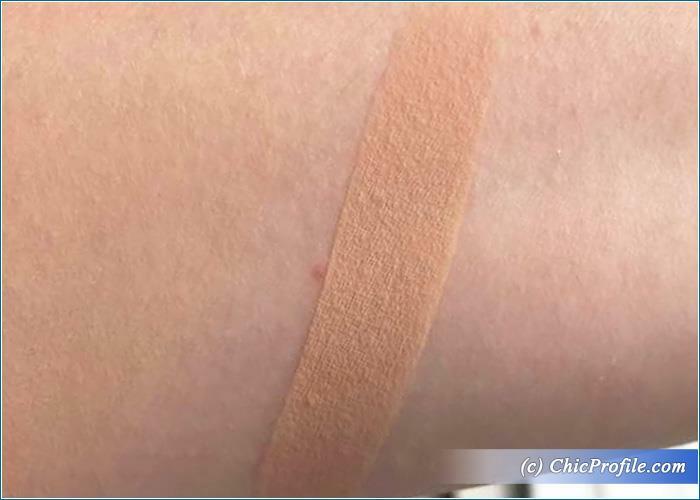 Well, RBR also uses the same cushiony applicator for Shadow Play Natural Defining & Contouring Liquid (review, swatches). 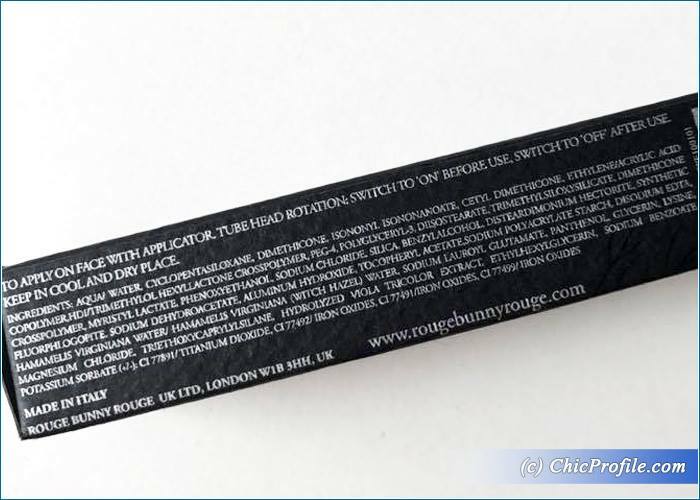 Rouge Bunny Rouge Light Corrective Eye Primer (11 ml / 0.367 fl oz) comes in the universal shade No.096 Bare. I don’t have the prices yet, as this product hasn’t launched but I will update as soon as I can. It comes in this squeezable black tube which is very easy to use. 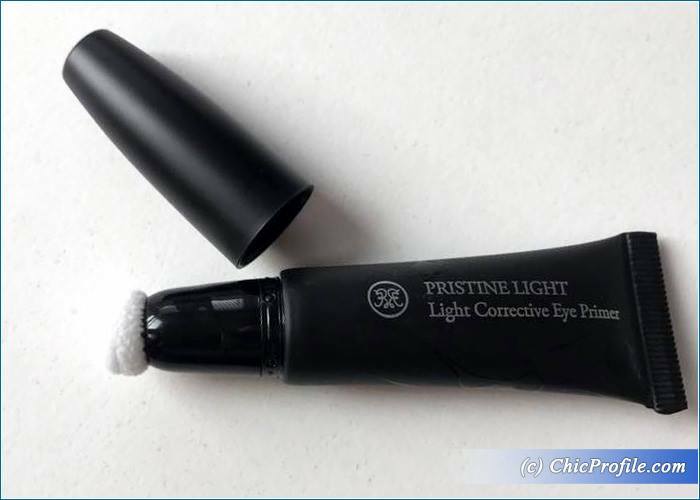 It has a cushion applicator that dispenses product evenly onto the eyelids. After I’m done applying, I can easily rotated in the OFF position. Quick and simple! The color is a light beige and gives an even color of my lids before starting applying the eyeshadow. The texture is creamy but thick and feels a bit tacky. 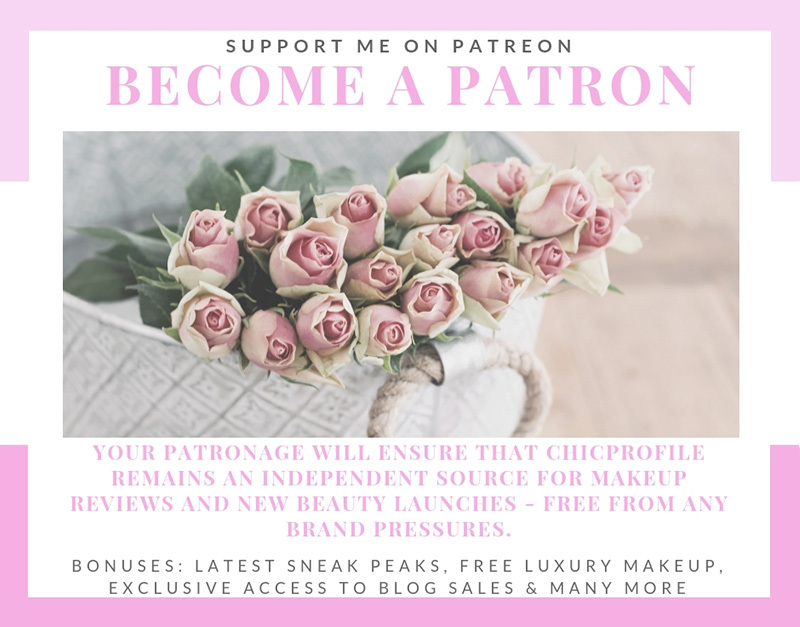 I’m actually giving a plus to its tacky texture because I can use it not only for powder textures but for glitters, pressed pearls, loose powders eyeshadows as well. The fact that it has a tacky formula helps those loose and glittery particles adhere better onto the skin and stay put the entire day. I apply the product directly with the cushion applicator but I make sure to blended with my fingers. 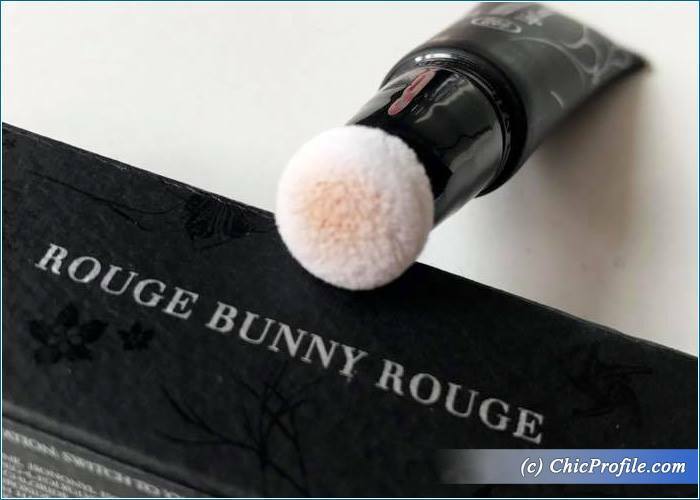 It intensifies a bit the eyeshadow colors, making them look more intense and pigmented. The only thing that I can say I’m not totally comfortable with is the applicator. I just don’t like the idea of product remaining on it, because it will get product on its fluffy cushion. I don’t also see the point of cleaning it after each application either, but I guess I have to get use to these new types of applicators. 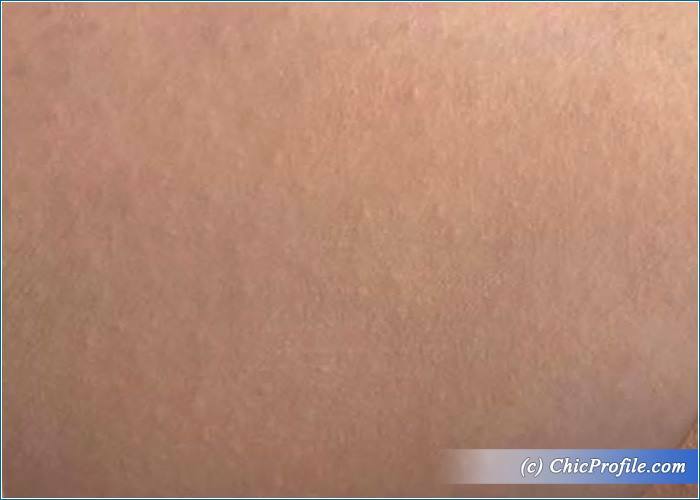 This is how it looks blended into the skin.